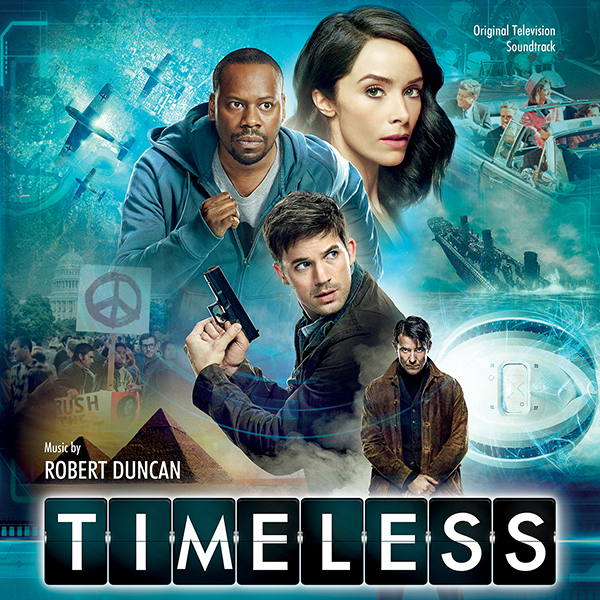 Varèse Sarabande will release the TIMELESS – Original Television Soundtrack digitally on April 13, and on CD May 4, 2018. The album features original music composed by Robert Duncan (S.W.A.T., CASTLE). Lead actress Abigail Spencer’s rendition of "You Made Me Love You" is a special album-only bonus track. Season 2 of the thrilling action-adventure series TIMELESS picks up right where we left off with our heroes. We continue to race throughout history with our beloved team – Rufus, Wyatt, and Lucy - in an attempt to prevent the destruction of the world as we all know it. This season they'll find an unlikely ally in their quest to ruin Rittenhouse, a deadly organization with plans to change history and reshape reality - even though Lucy's family has been a part of Rittenhouse for centuries. Still making every effort not to affect the past themselves, they will visit the years 1692, 1917, 1941, 1981 and more. We'll be introduced to the likes of Marie Curie, Hedy Lamarr, William Randolph Hearst and a multitude of other influential people throughout history.